After a brief hiatus Hi:Rise returns in the form of ‘Ain’t That The Way’ from James Talk featuring Cari Golden. If you’ve been anywhere near a dance floor in the past nine years, it’s possible that you will have been grooving to the hypotonic sounds of Southampton’s unsung hero, James Talk. After gaining notoriety back in 2005 after his widely acclaimed mix on Digweed’s Kiss 100 show, James has been championed by the likes of Pete Tong, Steve Lawler and Sasha, and had a wealth of successful releases on labels including Defected, Saved, Noir and Get Physical. His remix of Prince's ‘When Doves Cry’ lit up dance floors at the tail end of the Ibiza 2011 season, and his remix of Roy Davis Jr’s ‘Enjoy The Ride’ was in Defected Records Top 10 best selling tracks of 2011. His sound is unmistakably stripped back to the instinctive essentials that originally defined tech house, bearing no pretentiousness at all; only colour and character. And although funkier than some of his straight up acid tracks, ‘Ain't That The Way’ is no different. The playful rhythms and edgy old skool chords are a good accompaniment to vocalist Cari Golden’s soulful tones, whilst the remix from KORT offers a down and dirty blend of carnival beats and tormented synths. 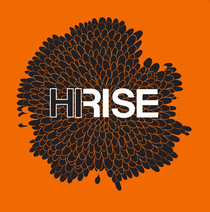 It’s out today on Hi: Rise.